The sweeping changes that are transforming the global financial markets are also requiring the industry to rethink its operating model and, in particular, explore new ways to increase transparency and reduce costs and risks. 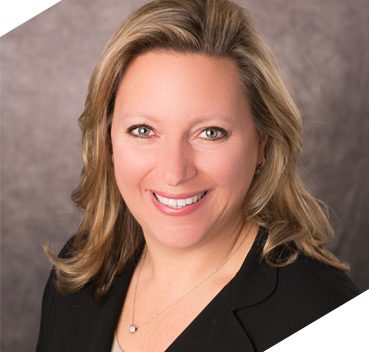 Donna Milrod, Managing Director and Head of DTCC Solutions, shares her insights on how DTCC is collaborating with industry partners to mutualize certain non-differentiating processes to drive change across the industry. What are the external forces that have prompted the industry to take a fresh look at ways in which market infrastructures can be leveraged to help firms compete and grow in this new market environment? As you look broadly across the industry, we see a combination of factors that will continue to pose significant challenges for the foreseeable future, including an uneven macroeconomic environment in which growth remains slow, heightened regulatory requirements that are placing increased demands on firms, a rise in compliance costs and lower return on equity. There is significant pressure on balance sheets across the industry, and for many firms, there is not much more room to cut to generate the savings that are needed. Many in the industry are now looking to market infrastructures for help. Do you think infrastructure organizations are equipped to play a larger role in helping firms solve the challenges they face? We are! While the primary responsibility of market infrastructures is to protect the safety and integrity of the global financial system by mitigating risk, they also have an equally distinguished history of enhancing operational efficiencies and reducing costs by standardizing, automating and mutualizing non-differentiating post-trade processes. I liken the current situation to the 1980s and the drive toward centralizing clearing in the U.S., which helped foster a more efficient marketplace and sparked the unprecedented expansion of the capital markets. I believe infrastructure organizations today have that same opportunity to help spur long-term growth by squeezing additional costs and risks out of the system. Do you think the industry is prepared to take advantage of this opportunity? We are making excellent progress, but the key is for the industry to evolve its thinking from each firm having to control the operational process “stack” to, instead, allowing market infrastructures to develop new solutions that address redundant and duplicative processes across the entire post-trade lifecycle  from initial client onboarding through trading, clearance, settlement, asset servicing and data reporting. Think about it – why should virtually every single financial firm collect Know Your Customer (KYC) documentation on mostly the same clients when one organization can manage this holistically for the industry? The reality is that, in most cases, these functions do not provide firms with a competitive or economic advantage and can, in fact, be performed more efficiently as a mutualized service supporting the entire industry. DTCC recently formed the DTCC Solutions group to align these businesses under a single umbrella. How has that helped bring greater focus to their development? The Solutions businesses are consistent with DTCC’s mission and share the same value proposition as the SIFMUs, but there are also important differences. If you look at the Global Trade Repository (GTR), Clarient Global LLC™, Soltra™ or DTCC-Euroclear Global Collateral Ltd., these businesses will integrate over time to provide an end-to-end solution for our clients that follows the trade lifecycle. As a result, bringing them together allows us to provide a consistent and singular focus to grow and develop them to meet the unique needs of our clients. In addition, these businesses operate in a competitive environment, meaning we have to take into account time-to-market considerations, we have to actively sell them to clients and we need to generate revenue to ensure long-term solution viability. Our structure now better supports this. As you enter these competitive markets, what differentiates DTCC on protecting the interests and assets of our clients? Most importantly, we are a user-owned and governed organization. This is a critical distinction because it means our Board is aligned with our clients, who are also our owners. When we develop a new product or service, we design it for the benefit of the industry – not for purely commercial reasons. And we make certain that operating margins are dedicated to cost recovery and reinvestment, rather than commercial return. We think this proposition resonates with the industry when we are developing and selling large-scale shared services. Furthermore, our focus on protecting the interests and assets of our clients, our commitment to data protection, and our record of service availability and resiliency is a differentiator in the marketplace. These attributes also connect back to our ownership and governance. Many of the DTCC Solutions businesses were created in partnership with other organizations. Why did you choose this path instead of building them on your own? There’s no reason to build everything ourselves at added cost for the industry when excellent solutions may already exist outside our own four walls. In fact, we have a strong track record of working in partnership with others to develop shared services that address key industry challenges. We want to build on that legacy by expanding our collaboration in order to further reduce overlap and gaps in common solutions and minimize investments in redundant capabilities. There has been a lot of progress in a short amount of time. What is next for DTCC? I believe that we have only begun to scratch the surface. Most importantly, we need to continue looking for opportunities to leverage our unique strengths, capabilities and expertise to drive the development of innovative new products and services. We also need to continue our dialogue with other firms to look for ways in which we can partner on initiatives. We’re in constant discussion with our Board and the industry exploring how we can increase client value by reducing risks and costs while enhancing efficiencies. The future is very exciting because market infrastructures will continue to play an increasingly important role in the years ahead.